World number two Cross has now won seven of his last eight Premier League matches to move closer to securing a Play-Off place. Cross took out 140 as he took a 3-0 lead and also finished 105 to go 6-2 up before defying checkouts of 106 and 104 from Wright to close out the win. Cross had been bedridden by a bout of tonsillitis during the week, and admitted: "I've not really felt myself so it was nice to get a result. "I hit my doubles well and the 140 was important to get my nose in front and was the catalyst for me. I'm in a good position but the first aim is to make sure I'm in the Play-Offs." 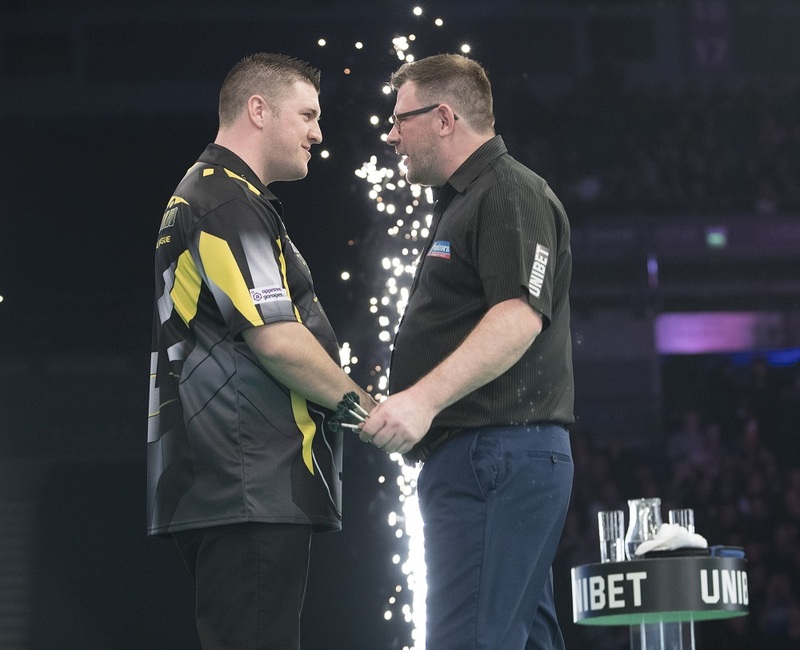 The Dutchman landed two 11-darters and a 12-dart leg as he opened up a four-leg lead, with Smith needing to land a pair of 12-darters to respond before finishing 70 to cut the gap to 6-3. 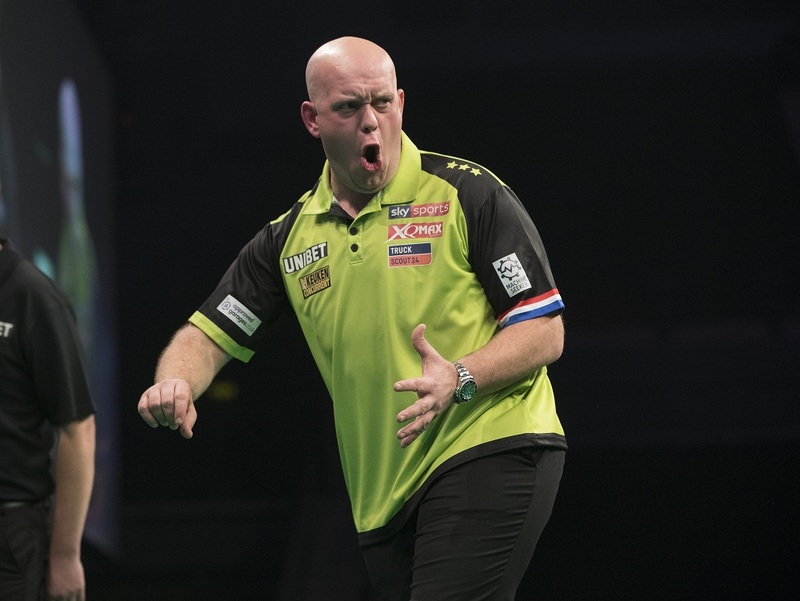 Van Gerwen, though, powered in checkouts of 76 and 80 to seal a big win, maintaining his spot just a point behind Cross ahead of next week's Motorpoint Arena showdown. "I knew I had to do something special and I think I did that today," said Van Gerwen. "My doubles were phenomenal and I put Michael under pressure from the beginning. "I've been steady this year and not made a lot of mistakes. I performed well today and I want to keep it going - but there is more to come. "Rob is playing really good darts at the moment so I know I'm going to have to play at my best to beat him next week, and this win is good for my confidence." Price, who drew with Van Gerwen in Belfast last week, made a fine start to lead 3-0, with Suljovic then taking four legs in a row. 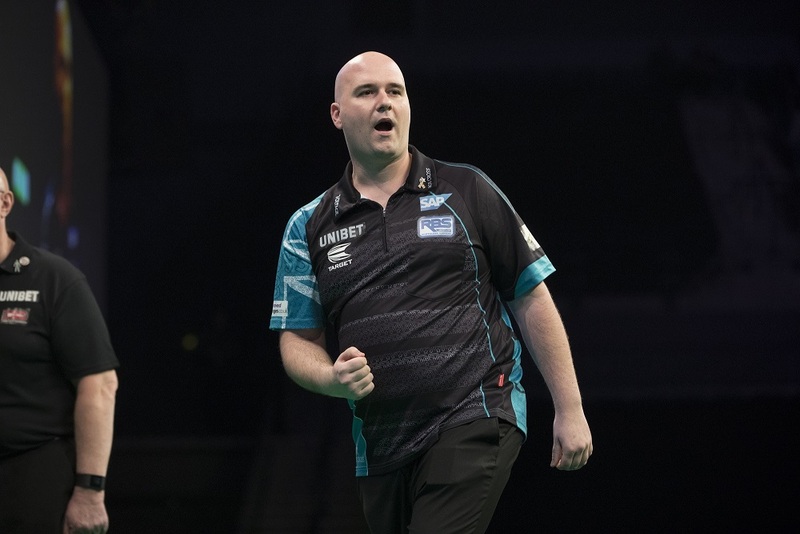 However, the eighth leg proved crucial as Suljovic's missed doubles allowed Price in to level as he started a run of four successive legs to lead 7-4 before securing a key win. "Every two points is vital now so I'm happy with the win but not as happy with my performance," said Price. "I know Mensur's game inside out and I thought I had him under control early on. "I'm under the weather and neither of us were at our best, so I think I'm lucky to get a win. In the last couple of weeks I've been doing alright and I'm confident going to Cardiff next week." 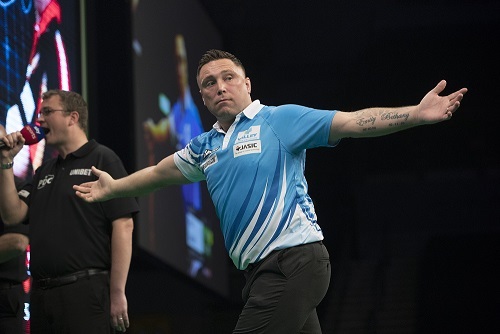 Gurney led 3-1 and 5-3 before Wade took three successive legs as he moved into a 6-5 advantage. 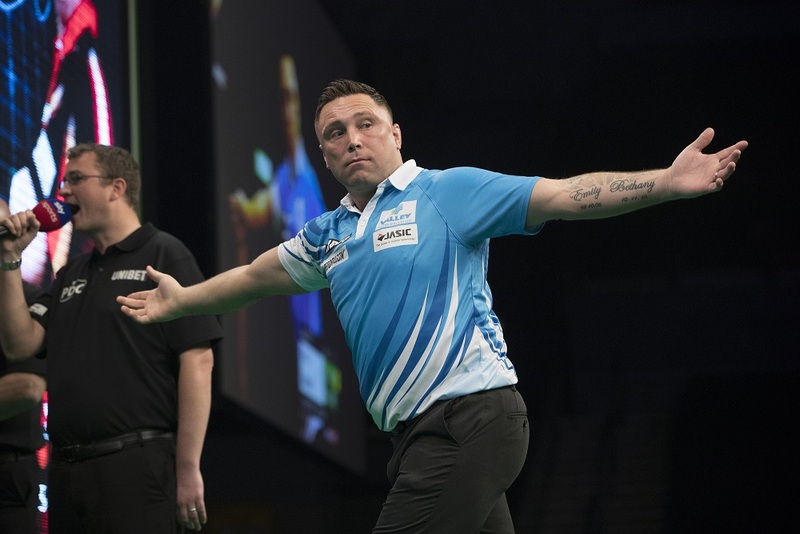 Gurney took out an 11-darter to level, with Wade then landing double ten to secure himself a point only for the Players Championship Finals winner to claim a share of the spoils. "I want to get myself into the Play-Offs so it feels like a point lost," admitted Gurney. "I messed up a few legs and that's cost me a point. "I was determined to win tonight as James beat me 7-0 the last time we played. A point is better than nothing but there's four of us on 12 points now so it's very tight."